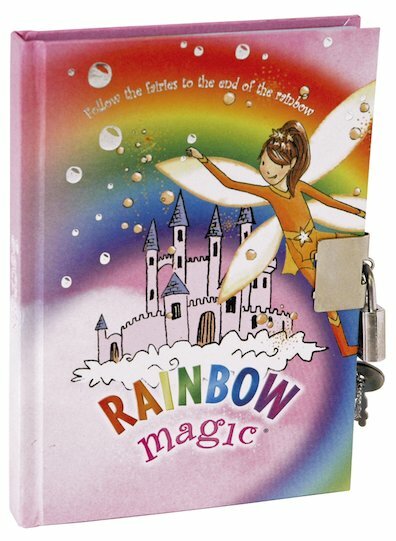 Follow the fairies to the end of the rainbow with a gorgeous Rainbow Magic journal. Write in your thoughts. Jot down recipes for spells. Lock it tight to keep your secrets safe. Make a note when a fairy whispers something magical in your ear. Keep your journal at the ready and your fairy friends close by! This is a cool secret book which can be locked a must have for you information to be kept from little brothers. This book looks soooooooo cool! I really want to read it. I have also read some other Rainbow Magic books and they are AMAZING!!!!!! !